Ecuador is the most biodiverse country on Earth and there are several different ecosystems within it. The Galapagos Islands have are their own ecosystems and are famous for a wealth of unique plants and animals found nowhere else in the world. 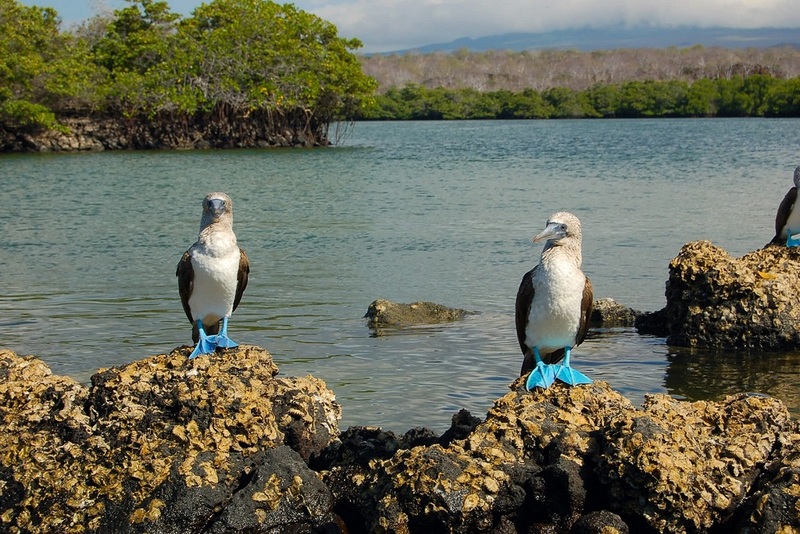 On the Galapagos Islands, there are three major ecosystems: terrestrial, coastal and marine. In the years of El Niño, the ecosystems show their characteristic behaviours. In the terrestrial zone predominate heavy rains, which has a positive effect on the animals and plants in this zone. In contrast, in the marine and coastal zone the highwater seaweed is destroyed, which causes marine iguanas to starve and they are unable to reproduce. The organisms on Galapagos are all originated from organisms brought in by sea currents, air currents or birds. Because of the distance between the Galapagos and the mainland, an unrivalled evolution has taken place. Furthermore they were the source of Darwin’s (1809-1882) theory of evolution and still remain an amazing laboratory for scientists today. In his honor they built the Charles Darwin Station to breed more Giant Tortoises, where also the famous Lonesome George lived until he died. But this ecosystem is threatened by illegal fishing, non-native species and the demands of more than 160,000 tourists each year. Ecological damage was caused long ago by whalers, pirates and early settlers and the presence of aggressive introduced species. This has disrupted natural biological processes in Galapagos. One big plague were the goats that were brought from the mainland. They were killed out of helicopters a few years ago, to preserve the Islands. cosystem is to let it work with little influence by man. Are you interested in visiting a place that is so unique, natural and breathtaking?? Contact us! We can help you planning the perfect trip for you!! !